We ran a workshop recently which got the participants using a mixture of 2D and 3D, traditional skills and new technologies. 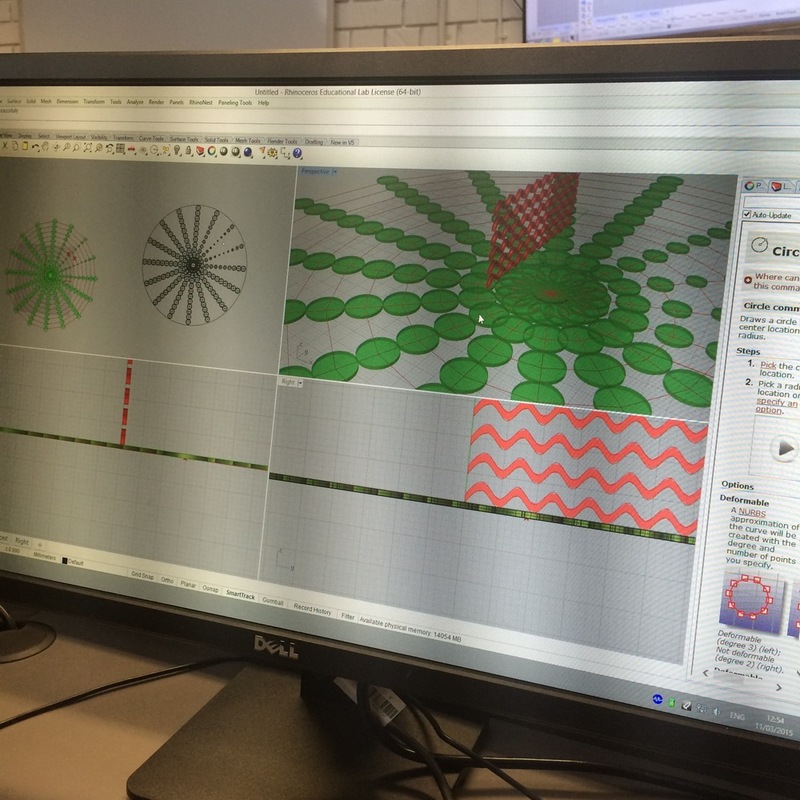 We asked them to create a 2D pattern in 3D computer software; we used Rhino with Grasshopper, and played with the planes to create a variety of depth and structure to our patterns. Once exported, we set these up as files to 3D print using our Ultimakers and printed out our blocks. These blocks, created using new technology, were now tested in the print-room where we used 17th Century printing presses to create 2D prints - as seen below. An interesting look at different processes, skills and technologies - and one which will hopefully inspire the students to use the print-room and 3D printers to create something a little more unique.